Thank you for inquiring about Hoffman Distributing Company! 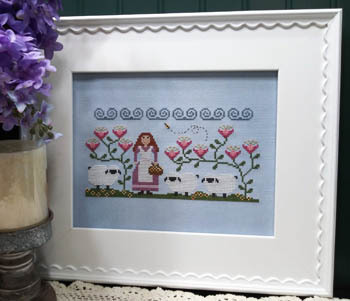 We are a wholesale distributor of counted cross-stitch designs to retail needlework shops throughout the world. Please fill out and return the HDC customer application to have your account set up. The Hoffman Reference Catalogue is available on our website. This collection of cross-stitch books and leaflets is well known throughout the industry and is an invaluable asset to any shop owner. It has developed into an industry standard and is used by shops worldwide. The online catalogue features thousands of images and is searchable by designer name, category, keyword, or book title. Log in on our website for the convenience of online ordering! All orders must be prepaid by VISA, Discover, or MasterCard. We do not grant net 30 payment terms to customers outside the United States of America. Our minimum opening order is $200 USD. Our shipping policy is quick and efficient as most orders go out within 24 hours. We use Federal Express for shipping internationally. For small orders of 15 leaflets or less, we use a Priority Mail envelope for flat rate postage (contact us for current rates). Unfortunately, we can not use airmail or surface mail due to daily post office pickup issues. We reserve the right to cease business relations with any shop who attempts to sell cross stitch books and leaflets outside of authorized venues (on internet auction pages, internet bulletin boards and/or chat rooms, yard sales, etc), violates the copyright restrictions of any business associated with HDC, jeopardizes our business relationships with other shops or vendors, or uses the HDC name without permission. All websites must be submitted to HDC for review before the account is opened and any link is placed to your page. We hope that you will consider us as your distributor for quality counted cross stitch books! Please feel free to e-mail with further questions using our contact form or you may proceed to download an application to open an account. Please print out the application, fill it out, and fax it to 205-991-6036.